Actual shipping will be charged for all hymnal products and will be billed separately. Click here to order quantities for congregational use. The pew edition of Glory to God is available in either of two colors, red and purple, in either of two versions: a Presbyterian edition and an ecumenical edition. 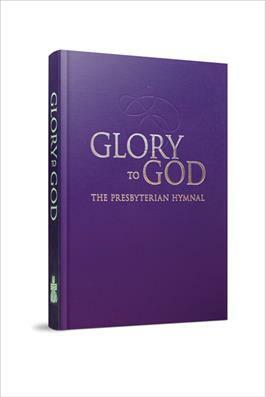 The Presbyterian version is Glory to God: The Presbyterian Hymnal and will be stamped with the PC(USA) seal on the spine. The ecumenical version is Glory to God: Hymns, Songs, and Spiritual Songs and will not have the seal. The contents of both editions are identical.